Parker Dam is located on the border between Arizona and California. It was completed in 1938 and was created to bring both power and drinking water to Southern California. It is 320 feet (98 meters) high and 856 feet (261 meters) long. It separates Lake Havasu (the high side) from the Colorado River (the low side). The dam is about 170 miles northeast of Phoenix. The town of Parker was established in 1871. There are more than 30 miles of shoreline at the Colorado River here, making it a popular stop for people who love sunshine and water sports. The Emerald Canyon Golf Course in Parker is an attractive challenge for any golfer. There are plenty of RV parks and camping opportunities in the area. Take the I-10 West toward Los Angeles for 124 miles. Exit at US-95/AZ-95. Turn right on AZ-95 drive about 25 miles to Parker. Parker Dam is about 15 miles farther up the road. Most of Parker Dam is not visible to visitors on the ground since most of its height--almost 75% of it--is below water. Parker Dam is the deepest dam in the world. Lake Havasu, about 45 miles long and about a mile wide, is the reservoir for water being served by the Central Arizona Project. While the primary purpose of Parker Dam is as a reservoir providing hydroelectric power to much of the Southwest U.S., the creation of the man-made bodies of water in the area have resulted in it being utilized as a major recreational area. Fishing, boating, swimming, and water skiing -- you can do it all. What would spring break at Lake Havasu City be without that beautiful lake? Check guest reviews and prices for Parker hotels on TripAdvisor. Check guest reviews and prices for Lake Havasu City hotels on TripAdvisor. Security measures have resulted in the placement of concrete traffic barriers on the approach roads to Parker Dam. The barriers narrow the roadway to approximately eight feet. 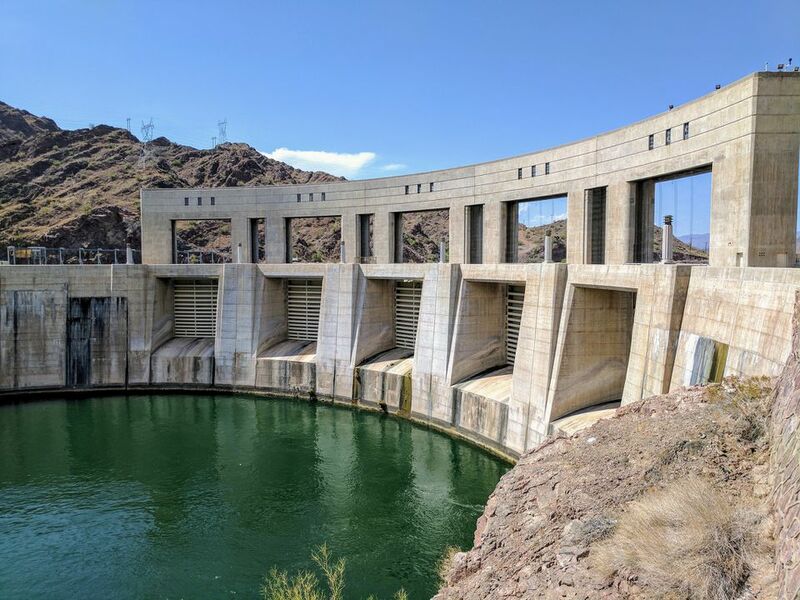 This means that only personal vehicles such as automobiles, pickup trucks, and passenger vans will are allowed to use the roadway across the Parker Dam. Trucks, RVs, motorhomes and other large vehicles no longer are able to cross the dam. The Parker Dam roadway is closed at night to all vehicular and pedestrian traffic, beginning at 10 p.m. Mountain Time. There used to be self-guided tours of the Parker Dam power plant, but they are no longer available. For more information about Parker Dam, visit the Bureau of Reclamation online.